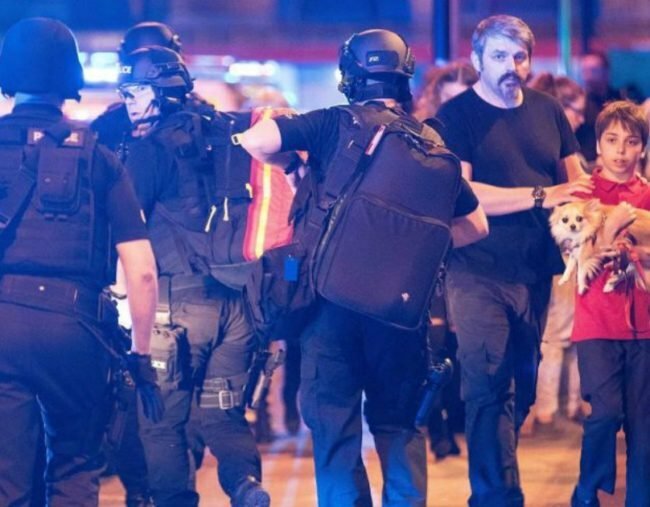 Manchester Arena 'terror attack' on concert goers an easy target. There was great excitement as 20,000 fans packed into the Manchester Arena. Ariana Grande had just finished her last song and an audience made up mainly of young girls and teenagers was starting to file out when the loud explosion changed a happy night out into a nightmare. At first, reports suggested it was nothing serious. But, in or near the foyer, some were already dead, others maimed. The panic quickly spread as everyone tried to get out of the arena as soon as possible. And as they ran you could hear the terrified screams. If this was aimed at creating terror at that moment it was horribly effective. Manchester Police released a statement about two hours after the blast saying they assumed it was a terrorist attack until proven otherwise. It certainly looked like one. And it was an easy target, with many thousands of vulnerable young people inside and beginning to leave. It reminded me of the slaughter at the Bataclan theatre in Paris in late 2015. Terrorists there knew no-one would be expecting the attack on a theatre full of people enjoying a rock concert. Since then, we have seen trucks, cars, knives and guns used against innocent civilians in many attacks throughout Europe. It’s no longer a shock when we get the news of the next atrocity. But despite the all-too-real horror created by these attacks, ordinary British, French, Belgian, Swedish, Norwegian and all the other nationalities affected by this growing disease have stood firm. While everyone is sickened and frightened by the apparently mindless nature of many of these outrages, life does go on. The people of Manchester will be no different. After IRA bomb attacks on the city in the 1990s there has been a quiet determination not to let the terrorists win. Not to stop going out to public places, or concerts or shopping centres. The long history of terrorist attacks on British cities has bred a resilience that hardens when tested. The Manchester blast marks a new low as it appears children, teens, were targeted. But instead of cowing the people of that great city, it will make them doubly determined not to let the deaths and injuries mark the moment they retreated in fear. The Brits are a resilient lot. So are the French, the Belgians and the Scandis who have suffered so much in recent years. Yes, terrorism has caused deep pain in Europe … but not the surrender, the capitulation so desired by those who kill strangers in the name of religion or ideology.